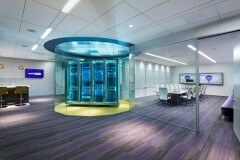 A fresh branded environment goes to the Extreme to support R&D workflow. Extreme Networks, a fast-growing provider of high-performance networking systems, needed to build out the remaining 29,000 sf of its 53,700 sf San Jose headquarters in quick order. The company, which supports a culture of collaborative research and development, wanted a space that balanced energy with focus. RMW architecture & interiors conducted executive visioning in a working session environment, gathering detailed programming in three days of departmental leader sessions. Space plans were presented concurrently as the culmination and validation of programming. 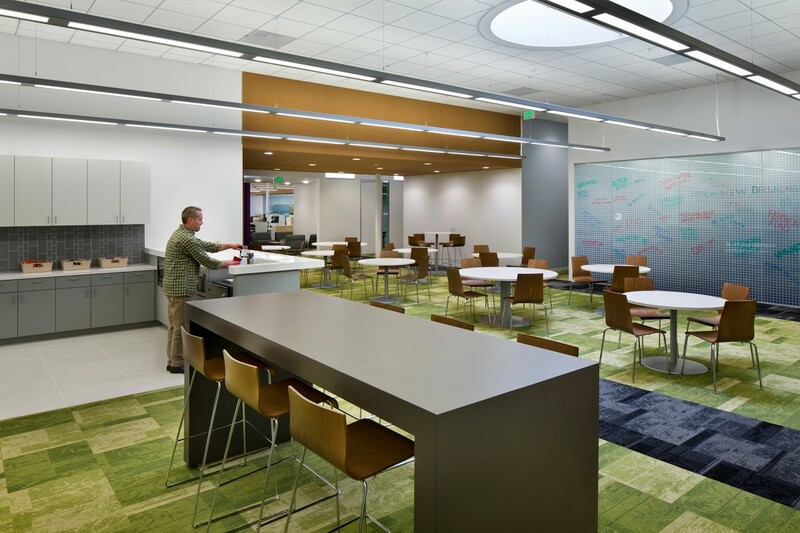 This highly focused process established a strong platform and aggressive pace for the project, which encompassed new open workstations, meeting areas, an Executive Briefing Center, an exercise gym, a video lab, and an employee catering kitchen with dining area. Collaborative areas are equipped with technology for knowledge sharing. 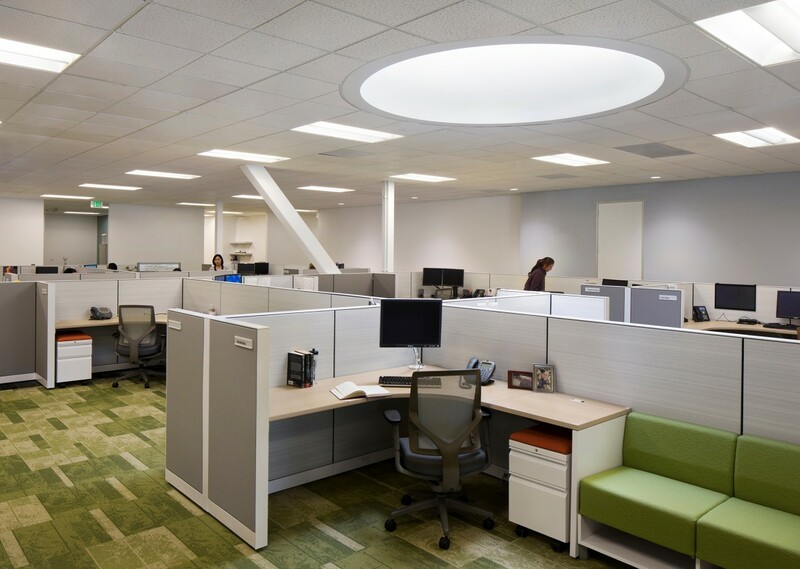 Enhanced by a new sound masking system, the open office area supports the heads-down engineer work style. A pivoting rack display surrounded by a glass column gives 360-degree views of Extreme’s cutting-edge data systems, rotating to face the EBC lounge, meeting room, or lab room. Color-changing lighting adds excitement to the product presentation. The project was completed in seven months from visioning to move-in. Skylights were added to the space to bring natural light deep into the open office area. Electric car charging stations added to the parking lot encourage the use of emission-free vehicles. 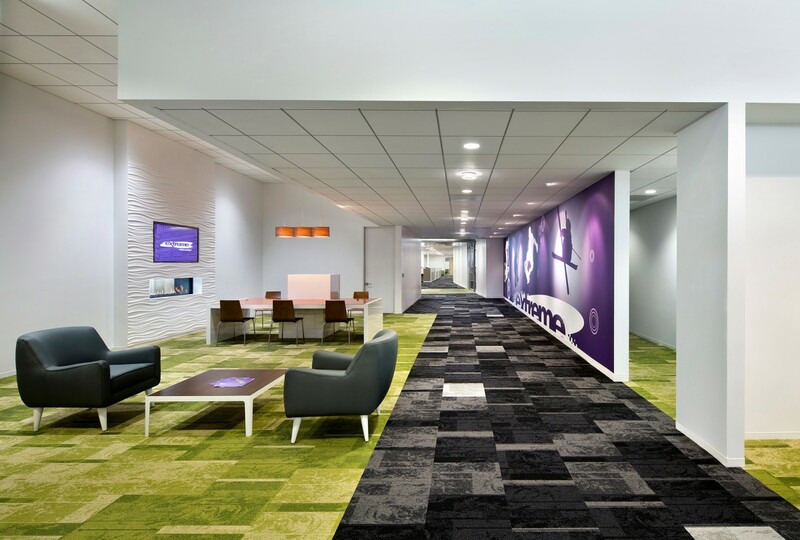 RMW is also designing Extreme’s offices in Morrisville, North Carolina’s Research Triangle Park.